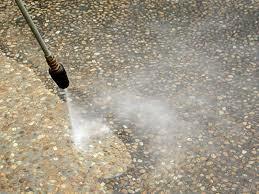 Driveway wear and tear can make a house look untidy. 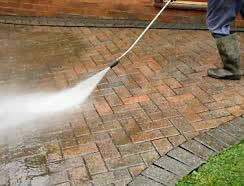 With our driveway cleaning services we can bring your driveway back to looking presentable and also seal to protect. Do you have oil stains where your car or a previous car is parked? We can remove this and other marks like tyre scuffs and more. Your driveway is a common area and because of this the wear and markings it holds is constant and plenty. We can clean your driveway to make it a pleasure to drive on, as well as lifting the overall appearance of your yard, making it look lovely and fresh. You may be surprised at the great results that are possible, no matter what kind of surface you're working with. 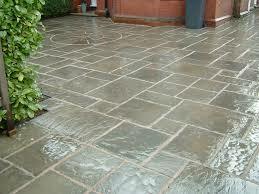 For example, sandstone cleaning can be done without wearing away at the relatively loose surface of the stone. Paver cleaning can include getting the gaps between pavers and also removing stains from porous or semi porous surfaces. Just take a look at the images below for an idea of what we can do for you. Your driveway is one of the first thing people see when approaching your house, so why not make it presentable and attractive to look at? Why not have it be a feature that really represents you and your house? We offer the best in high pressure driveway cleaning in Sydney, and can make your driveway look brand new- an excellent alternative to actually getting a whole new one!